What a way to spend the day. I unintentionally got lost in boxes and boxes of old papers, photos and random objects. I am a pack rat. I think I was born this way and see no signs of slowing down... although let's face it, I could be a little more selective. 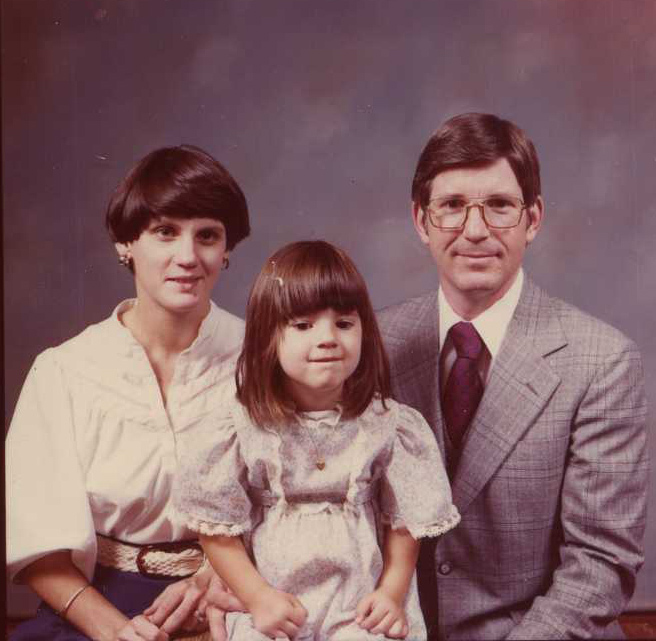 I have old school work (dating back as far as 1984), lists and lists (list-itus has plagued me for years), family pictures, and on and on. 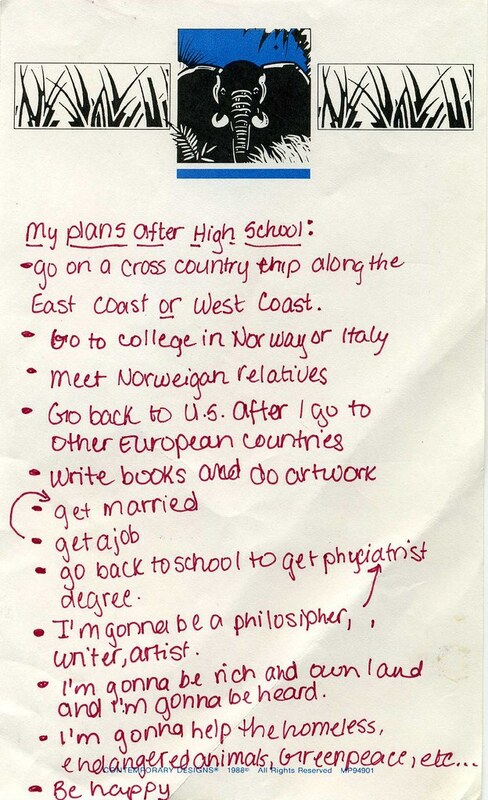 My favorite... a list of what I will do once I graduate. So ambitious, so particular, so weird. Now which comes first again... marriage or job? I love my scanner for helping make it possible to share with everyone (anyone), although it is doubtful the sentiment is reciprocated. Now I just need to put everything back somewhere. No easy feat. If anyone wants a better look at my scanned treasures go here... photos & etc. (don't skip the homemade contracts and movie reviews). where are the veggies buster?